Portfolios are showcases of a person's greatest achievements in specific areas of work or education. A strong portfolio can cancel out any lack of real work experience you may have or put you above other candidates applying for the same position. If you've never complied a portfolio or wish to make your current portfolio stronger, here is a brief tutorial to get you going. Before putting anything inside a portfolio, decide what office supplies are needed to give your work a stylish edge. 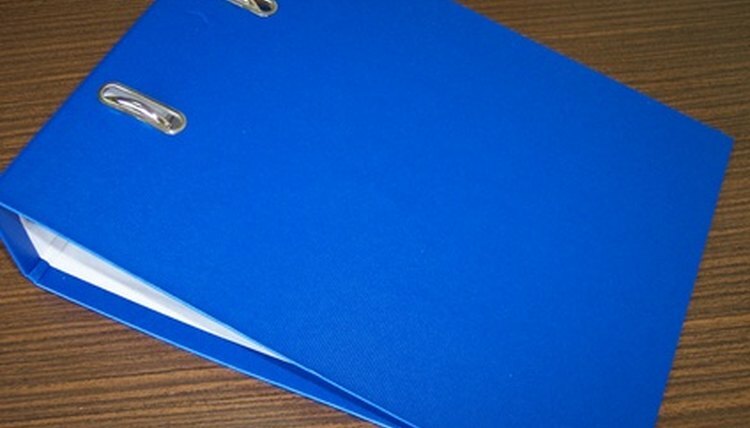 Employers want to flip pages, so avoid file folders, jacket folders, and accordion binders. Three ring plastic binders will do in a pinch, but remember that the higher quality the material, the better impression your portfolio will make. You will also need clear plastic sheet protectors, labels for each work, and dividers. Remember that you may not get back your portfolio, so buy the best materials that you can without going overboard. 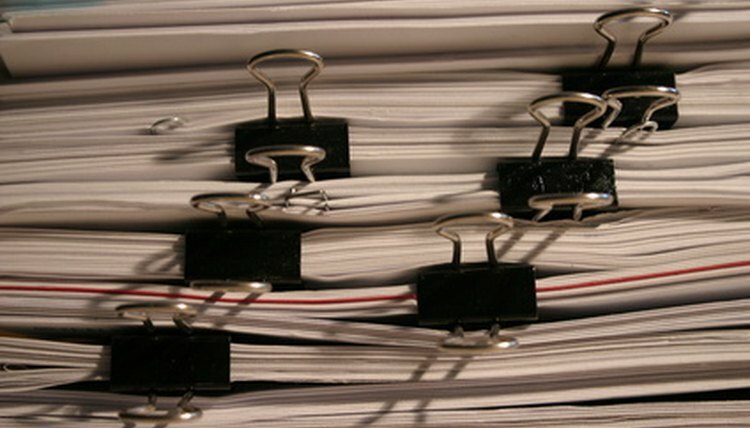 To choose which documents to put into a portfolio, you have to know your audience. If you are applying for a teaching position at the preschool level, don't include artifacts such as overly academic essays. If you're using your portfolio to help you get into any kind of educational institution (which is called a "learning portfolio"), only include work samples that are related to what you're studying. Work samples can include reports you created, letters of recommendation, evaluations of your skills, design projects or pictures of you on the job. Learning samples may include academic essays or other written assignments, just as long as they're free of edit markings. Not every sample may already be at your disposal. 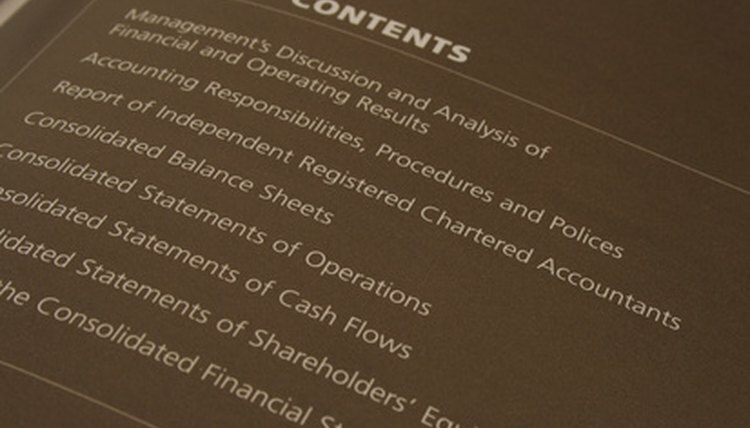 A table of contents should be created and serves as the first page of a portfolio. It does not have to include page numbers, but must list the samples found in your portfolio in order. Another useful document for a portfolio is a personal statement. Include a statement about whether everything you've included is original or copyrighted, what your work philosophy is, and a list of goals for the near or not too distant future. For research and learning portfolios, it is also a good idea to state which area or topics you would like to research. A few copies of both the resume and cover letter should be included. Cover letters are optional but a good idea if an introduction or personal statement is not included. Cover letters are short, at most four paragraphs long, and are written in business letter format. Both the cover letter and resume should be tailored for the specific job or placement you're applying for, including the name of the company. 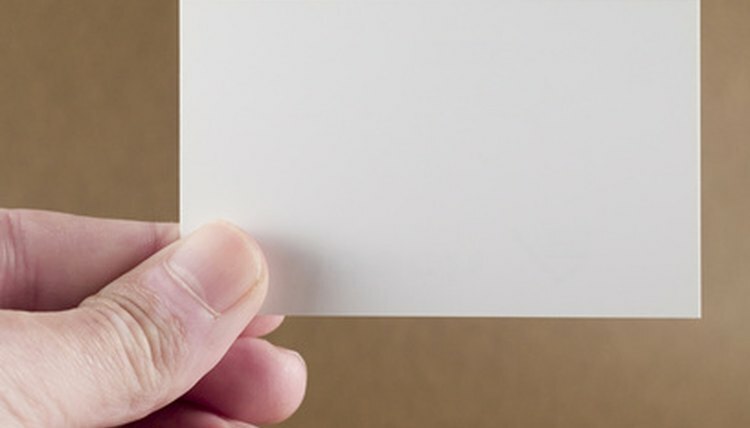 Business cards can also be inserted in the same pocket as resumes and cover letters--just make sure your contact information is up-to-date. Every sample should be paper clipped and not stapled together and placed inside a plastic sheet protector. Do not group more than one sample together, except for resumes and cover letters that you need to include a few copies of. Additionally, for every sample except the table of contents and resume, labels should be made containing: title and date of work, who it was written for, a short two- to four-sentence description of the sample and a statement of authorship. For statements of authorship, write who made the piece and whether the creators were the sole author, editor, or creator or if they were co-authors, co-editors or co-creators. Labels can be written on tabbed divider cards or index cards fastened to the outside of each sheet protector (don't put them inside with the samples because they may fall out). Based near Toronto, Canada, Veronica Starovoit has been writing stories and articles for periodicals since 2004. She writes travel pieces for LIVESTRONG.COM and her work has been published on websites such as eHow, Answerbag and others. She has a Bachelor of Arts in English from York University and is taking a postgraduate co-op program in technical writing. Starovoit, Veronica. "Introduction to a Portfolio." , https://careertrend.com/about-6499250-introduction-portfolio.html. Accessed 18 April 2019.